What started in 2014 as a one year-only pilot project, got extended for additional 3 years. The Kurdish militias are also mainstream known for their use of female warriors, including by creating a special unit named “Female’s Protection Unit” (YPJ) as a sister-military wing to the YPG – military wing of the PYD (Syrian Kurd party), with links to the PKK (designated terrorist organization by US, NATO, EU, Turkey). The YPJ has been making a good mark in fighting against ISIS in Syria; the Jihadists even fear getting killed by female fighters. Since 1985, Norway and Israel have opened combat positions women, up until then, women could only hold support and logistic roles in the military. In October 2014, the Norwegian parliament approved a bill proposed in 2013 to extend conscription to women, which was implemented on January 2015. This made Norway the first NATO country to mandate female conscription. Still, after 1985 only 10% of the combat troops are female members. This is partially blamed at technological advancements. “Soldiers carry more weight now than during the Vietnam War, primarily because their protective gear is heavier,” Colonel Linda Sheimo, the chief of the U.S. Army Command Policy Division and the former chair of the NATO Committee on Gender Perspectives, told Elisabeth Braw from Foreign Affairs. In Afghanistan, for example, U.S. infantry soldiers typically carry 31 to 45 kg (70 to 100 pounds) of gear and equipment, much of which is lifesaving body armor. A decade ago, the U.S. Marine Corps, after noticing the large number of pelvic fractures suffered by women in its officer candidate school, calculated that the average female officer cadet was being asked to carry 58% of her body weight, compared with 40% for the average male cade. Concessions have been made and now female operators can carry 27 kg (60 pounds) packs as opposed to males who carry 36 kg (80 pounds) pack. Male soldiers were unable to interact with local Afghan women, although a significant aspect of counterinsurgency operations is the formation of ties with locals through continual interaction. According to other senior officers in FSK leadership, this exclusion of half the indigenous population limited the collection of intelligence, the formation of local relationships, and the evaluation of conditions. “Hunters” will work in small groups and will solve assignments in special reconnaissance (collecting information about the enemy) in and around the developed area of modern conflicts. As many Special Operators, their training will consists in gradually building war-fighting confidence, through physical capacity, teamwork and solo work, adaptability and practical problem solving with swift thinking. The Army showed more support towards opening all military occupational specialties to women, with female soldiers already completing Ranger School. And while the Navy opened fighter pilot careers since the 90’s, and allowed women to serve on submarines years ago, it remains to be seen if the SEAL community could be opened for such a policy. Navy Secretary Ray Mabus voiced strong public support for lifting all gender restrictions, including those for Navy SEALs, yet Dunford, commandant of the Marine Corps at the time, disagreed. Norway is a founder-member of NATO and has been actively participating in many operations. NATO also has a Special Representative for Women, Peace and Security; a section led by Mrs. Ambassador Marriët Schuurman. Forsvaret. “Jegertroppen I Forsvarets Spesialkommando.” http://forsvaret.no/karriere/utdanning/spesialstyrkeutdanning/forsvarets-spesialkommando/jegertroppen. Korpela, Aleksi. “Jegertroppen: Norway’s All-Female Special Forces Unit.” NATO Association of Canada. 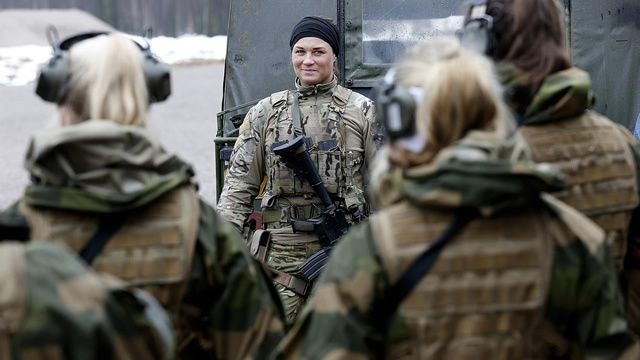 http://natoassociation.ca/jegertroppen-norways-all-female-special-forces-unit/. Leffler, David. “‘Hunter Troop’ Is The World’s First All-Female Special Operations Unit.” Task & Purpose, http://taskandpurpose.com/hunter-troop-worlds-first-female-special-operations-unit. NATO. 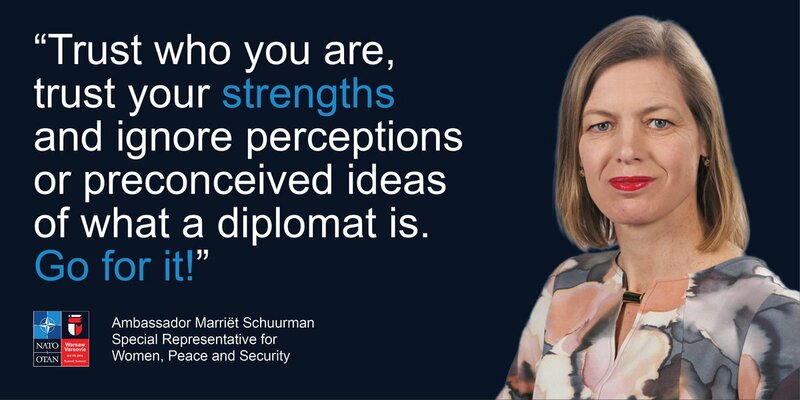 “Dutch Diplomat to Become NATO’s Special Representative for Women, Peace and Security.” NATO. http://www.nato.int/cps/en/natohq/news_112742.htm. “Norway’s ‘Hunter Troop.’” Foreign Affairs, February 8, 2016. https://www.foreignaffairs.com/articles/norway/2016-02-08/norways-hunter-troop.